Owning a car can be a lot of fun, but with it comes a ton of responsibility. You may only have yourself to worry about, or you might have the added responsibility of caring for other passengers- friends, siblings, children, older parents, and/or pets. Making sure that you can keep everyone as safe as possible, should an undesired situation occur is of utmost importance. To help keep all passengers (including yourself) safe while on the road, here are ten essential items to keep in your car at all times. Don't put yourself in an even worse situation, should a problem arise. You can purchase a safety or emergency kit that has already been put together at most auto stores and car dealerships.These kits come with items such as a flashlight, jumper cables, emergency flares, a first aid kit, etc. These types of kits are usually less than $50.00. You may find it more satisfying to make your own kit, and replace items as needed. Keep this kit in the trunk of your car at all times. 2) Your car's owner's manual. The owner's manual comes with your car, and should be kept in the glove compartment at all times. Use it as your go-to guide if a maintenance problem should arise while you're on the road. Most cars have a hidden compartment in their trunk for a full spare tire, or at the very least, a donut tire. Keeping a spare in the trunk of your car can save you from having to have your car towed if you wind up with a flat. Interstate and highway driving can be notorious for debris in the middle of the road, which can cause unexpected issues with tires. It's also good to know how to change a tire, if you're able to keep a spare in the trunk. You might not need them to jump your own car, but it's great to have a set on hand in case you need them, or in case you need to jump off a friend or family member's car. Just make sure you know how to use use them before attempting something new. 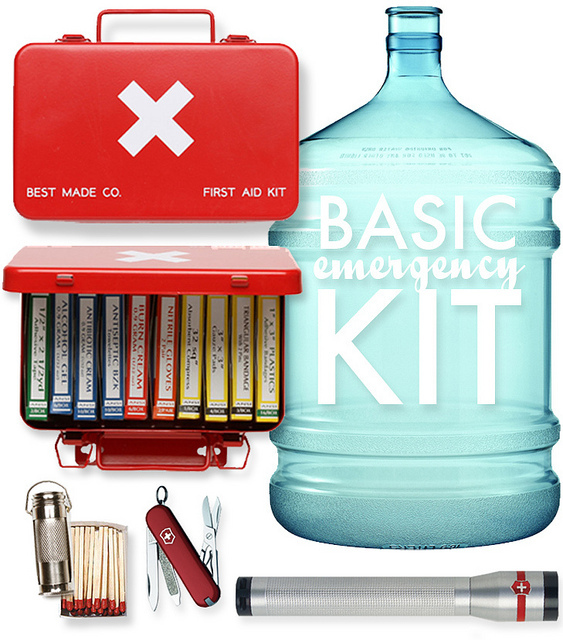 Much like an emergency kit, there are certain items that should be kept in the car, should you find yourself in a dangerous situation, be it weather related, or otherwise. Items should include a flashlight, first aid kit, extra batteries, bottled water, non-perishable snacks, a warm blanket, and a radio. Something that can be used to gain traction on snow or ice, such as a car mat, piece of carpeting, cardboard, or kitty litter. 7) Multi-tool or tool kit. It's a good idea to keep some basic everyday items in your car, like tissues, antibacterial wipes, trash bags, a pen and paper, etc. You should have a charger for your phone in your car at all times, so that you can keep it charged. It's also a good idea to keep items like roadmaps in the glove box, along with a seatbelt cutter, window breaker, tire pressure gauge, and possibly an emergency triangle. The triangles should be set up on the road near your car, if you have a break-down. This warns other drivers and emergency responders that you are in distress any might require assistance up ahead. Always use your flashers when pulled over on the side of the road. Most of these items take up very little space, and can be neatly organized in your car, or trunk. Be sure to check the items regularly, and replace as needed.